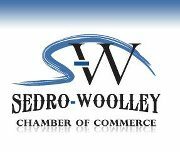 At Sedro-Woolley Auto Parts you will see that we have the auto parts you need, along with the staff who has the training to help service all makes and models of vehicles. Be it a new car or truck, or one with some mileage, you will be glad you came to Sedro-Woolley Auto Parts servicing Oak Harbor, WA. Call 360-855-0341 so we can help put you safely on the road with NO surprises. Call 360-855-0341 or visit today, you will be glad you did!